In so many ways, navigating global exchange-traded funds has never been more difficult than it is right now. One of the biggest drivers of the confusion is the U.S. Dollar Index. As the world’s reserve currency, the greenback is the financial discourse’s focal point. Yet the index itself has been freefalling since this past December, raising all kinds of implications for international ETFs. It’s easy to say that the ETFs to buy should be levered toward stable nations or regions. For one thing, with the unprecedented victory of President Donald Trump, no world leader knows how to proceed. Even a supposed no-brainer like Russian stocks hasn’t turned out the way the political winds suggested. Such is the difficulty of sorting out the wheat from the chaff among international ETFs. The flipside to this argument is that unstable regions don’t necessarily equate to ETFs to avoid. Case in point is the North Korea crisis. According to our military intelligence reports and analyses from physicists, a North Korean intercontinental ballistic missile could hit Los Angeles in under 40 minutes. Yet many Asian stocks are ranked among the best ETFs to buy. This is a very tricky time to put your money to work globally as we’re dealing with a dynamic situation. Nevertheless, here are my thoughts for which international ETFs to buy, and which ETFs to sell. Leading up to last year’s general election, I read some awfully assumptive stories in the mainstream media. Political pundits declared that then-reality TV star Donald Trump had zero chance of defeating former Secretary of State Hillary Clinton. When the actual results came in, most of the world was aghast. The turn of events have played well for iShares MSCI Canada Index (ETF) (NYSEARCA:EWC). Canada is what I like to call America 2.0 — a more refined, polite, and generally agreeable version of ourselves. While our northern neighbors has its share of problems — which might spark a change in power — current Prime Minister Justin Trudeau remains a largely popular leader. The relative political stability compared to our own house of cards has driven the EWC to more than 11% year-to-date. At the moment, our own benchmark SPDR S&P 500 ETF Trust (NYSEARCA:SPY) is in the lead at just under 14% YTD. However, an argument can be made that the EWC rally is more “believable.” A significant portion of international ETFs are rebuilding from prior collapses, and Canadian stocks are no different. But for the S&P 500, every new high is an all-time record. You have to figure a correction is coming at some point. That’s why I’m putting the EWC in the ETFs to buy list, as it has already experienced its bearish phase. Last year, I pegged the iShares MSCI Chile Inv. Mt. Idx. 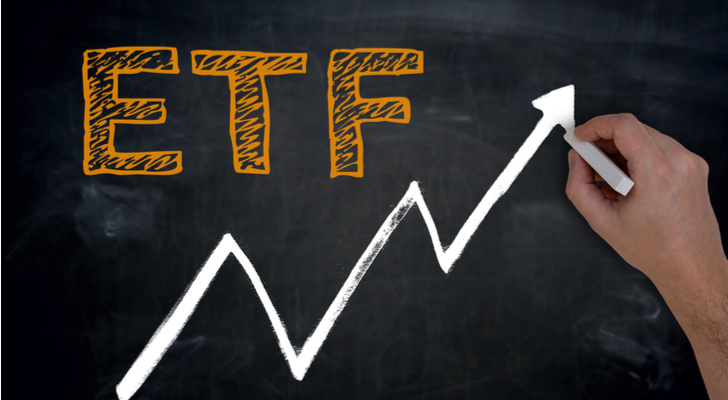 Fd(ETF) (NYSEARCA:ECH) as one of the best contrarian international ETFs to buy. However, I must admit that it was a tough call to make. 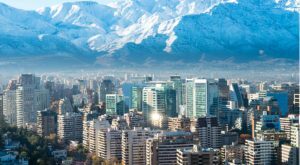 At the time, Chile was deep into its “third year of lackluster economic growth.” Furthermore, the South American country struggled under the weight of rising unemployment and declining industrial output. All of these factors contributed to Chilean consumers resorting to survival mode. People only spent for necessary items, creating a deflationary environment. I’m sure most analysts would have dropped ECH into the ETFs to avoid bucket. This had all the classic signs of a fundamental disaster. Also, let’s be real: South America isn’t the most stable part of the world. The region has suffered multiple crises in the past. Neighbor Argentina can’t control their runaway inflation problem, and regional power Brazil is in similar straits. However, you can’t argue with performance. The ECH enjoyed nearly 21% returns in 2016, stopping an ugly, bearish trend that’s been in play for years. This year, the fund is up over 35% year-to-date, and I believe it’s got more room to grow. The primary reason why I think the ECH belongs in your international ETFs to buy list is Chile’s bountiful resources. The country has a robust mining industry, particularly in the precious metals. With the dollar index in decline, gold and silver could have a banner year in 2018, making ECH great again! I’m not too big on conceding an inch to maniacal dictators threatening to spark World War III. The worst part about it is that no one knows the end-game calculus that’s going on in North Korea. One would hope that a primal sense of self-survival would take precedence, but I don’t see this happening presently. That’s why I have to put the iShares MSCI South Korea Index Fund(ETF) (NYSEARCA:EWY) in the ETFs to avoid list. As Trump would say on his Apprentice show, “It’s nothing personal … it’s just business.” While my gut tells me that the thermonuclear crisis will boil over (in a good way), who knows what’ll happen? Here’s the deal: if the U.S. wants to escape this potential catastrophe diplomatically, it needs a diplomat. President Trump, God bless the man, has never been a diplomat. Everything he has done is characterized through the most extreme superlatives, and every failure excused via profound minimization. In a similar vein, the North Korea crisis could end up very well, or very poorly. That worries me deeply about the EWY. I already mentioned that Los Angeles is potentially a little more than half-an-hour away from obliteration. Logically, South Korea doesn’t have any luxury to contemplate their fate. Furthermore, Seoul is well within range of its belligerent neighbor’s conventional weapons. Any conflict, big or small, would be bloody for South Korea, and by logical extension, EWY. It’s a shame because I love the Korean growth story. Under any other circumstance, I’d want to buy the EWY. But for now, it belongs in the international ETFs to avoid list. 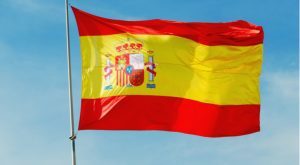 Spain avoided an ugly political dispute for now, but that doesn’t mean you should jump onboard the iShares MSCI Spain Capped ETF (NYSEARCA:EWP). The EWP still belongs in the international ETFs to avoid bucket as the Catalonia crisis is not yet over. But more importantly, the conflict extends to broader issues impacting Europe. For years, the autonomous region of Catalonia has sought further controls over legislation that affects them, particularly taxes. After all, the Catalans enjoy a language and culture distinct from mainstream Spain. Normally, independent nations feature such social attributes. Furthermore, Catalonia is “one of Spain’s wealthiest regions, accounting for a quarter of the country’s exports.” Pro-separatists believe that their people deserve their own nation status. But whatever happens in Spain, the die has been cast. Everyday Europeans question the supposed benefits of a broader, unified network like the EU. We see almost on a weekly basis the horrors of terrorism that have plagued western Europe, facilitated by lax borders. Fears that individual nations are sacrificing their distinct identity in favor of an amalgamated coalition are very much real. Article printed from InvestorPlace Media, https://investorplace.com/2017/10/international-etfs-that-either-pass-or-flunk/.